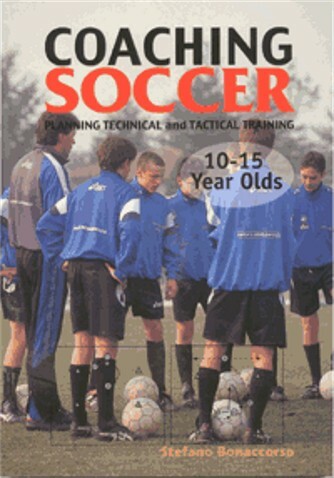 The exercises and coaching units suggested in this book are designed for 10-15 year old players. At this level, a competent coach is responsible not only for the technical and tactical development of his players but also must understand and respect the role that sport plays in enhancing self-esteem and social skills. To that end, the author has included a brief overview of modern educational psychology as a useful reference in addition to the practical training exercises. To maximize the learning process, the coaching units are broken down into as many as 5 parts: Starting Games, Analytical exercises, Play Situations, Conditioned Games and the Final Game. Topics covered include: Coordination, Dribbling, Receiving, Heading, Throw-ins, Individual Tactical Skills, Passing, Shooting, Moving Without the Ball, Defending.